How to color hair after Colorfix? I've been coloring with Robert Craig for a year & 1/2 or so. I love how relatively gentle it is and I've been happy with the hues. But I'm unhappy with how dark it has become. I'm about to try to lighten with Colorfix (skipping step #3). For instance, following Colorfix should I do a protein treatment before coloring - I've read here and on Folica that people do this to make the length less porous and therefore less susceptible to becoming too dark. You can do a PT or DT but still watch your timing. Everyone's hair reacts differently to the ColorFix and you can't judge the porosity afterward. 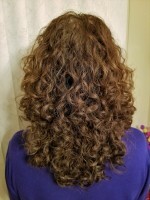 My cousin recently used CF to remove another brand of color, then re-colored with this other brand (she wants a lighter color so can't use the RC) and her hair did grab the color on the length quickly. We're actually going to use the CF again but just lifting a little with the shampoo method. You may actually find that you do no have to recolor the length after the CF if you happen to lift to your desired color. But if you do, I would do a strand test and keep your timing to 5-10 MAX. Good luck! LMK how it comes out. And be sure to just do the roots in the future so it doesn't get dark again. Only refresh the ends/length when it really looks faded, if it does. I'm considering using Robert Craig, should I start with Colorfix? Something on their site said to start with a blond then add a brown (if you're heading to brown). 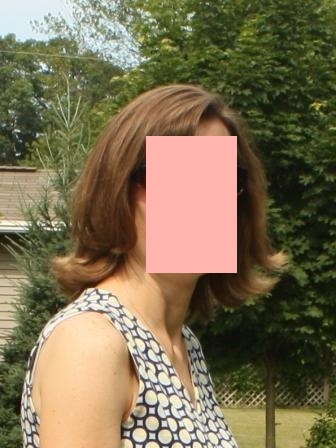 Am I to understand that if I find a close match to my color, that I won't get a line as it grows out...or not as much? I am tired of the brassy color coming through all the time. I don't even have that much gray. At this point, I'd rather just deal with the 2% gray that I have and go back to my light ash brown. I did the assessment on the rc site and I think the light chestnut would be good for me. Just not sure which is the best way to get there considering that I am colored now - or faded color, as the case may be. Are you trying to go lighter? If not, you won't need to remove the old color, just start using the RC. If the old color is darker than your natural, then yes you could strip it with ColorFix. I use Light Chestnut on my roots (trading off with Golden Chestnut) and it gets pretty dark. I can help you find a good color if you let me know which RC swatch best matches your natural color that you're trying to get back to. As most haircolor goes darker on curlies, especially with processed hair, you will need to choose a color about 2-3 shades lighter to start out. You can always go darker if needed but it's better than getting too dark. And it often works out without any adjustment. LMK if you'd like some help. Yes, some help would be much appreciated. I contacted the RC site and they suggested I start with the ash blonde which shocked me. Maybe you'll agree though. OK...started getting few grays and thinking, "Gosh, my hair is kinda mousy looking. I wonder if you loose color as you age. But wait there are a few red ones in there. Go figure". This was out in the sunshine. So I picked up a neutral light brown and whoa, did I have red (when wet my hair looked orange by my scalp)! Yikes. Not what I wanted. Then I realized I should have gone with a cool base. I tried a light ash brown from Sally's which really seemed darker than I really am (and got comments like, "oh, you dyed your hair darker". I have had the salon do my hair and it gets plenty brown, but too brown and fades to a coppery look. 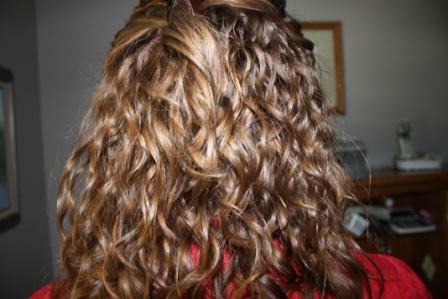 Which is what I have again now after a failed attempt at a Loreal Kit that included highlights. Am I to understand that the RC won't fade and you just have to touch up your roots? Because at this point it sounds awesome. I think from their colors online that I am either a light chesnut or golden chesnut naturally. From the description of the Golden Brown "It is our most popular shade and a good one to try when looking for a medium to dark brown", I think that is darker than I really am. OK, so we need to determine if you like the red/warm tones your hair pulls (neutral or gold) or want an ash/cool shade. My hair pulls red too but I like a bit of warmth. I use Golden Chestnut (gold base) on my length and usually my roots, it turns my grays into warm reddish-brown highlights. You can see it in my pics (link with avatar, pw in sig). RC Color does fade, but I find it does so slowly and you don't get a line of demarcation because there is still color underneath (natural). Although you may still find some fading and brassiness until the old color grows out. Golden Beige Blonde is a neutral shade that is dark blonde/light brown. It can be mixed with Clear for a lighter version of this shade or mixed with Light Ash Blonde for a cooler tone. Since the colors tend to go darker, this would probably give a medium brown. If you used Light Chestnut, your hair will be dark brown. Is your hair darker than mine or lighter? I would like to minimize the red that my hair pulls. Maybe after a I get over the traumatization that this color fiasco has caused me, , then I will consider the reddish tones. I am lighter than you normally. I think the pics below are closest to natural. There is a reddish tone and I guess that is OK. With coloring, the roots look almost orange when my hair is wet, where before they just looked brown. I kinda think my hair is looking like some sort of dessert right now. boo. Need to fix. Seeing your pics, I would suggest going with #15 Golden Beige Blonde (neutral) or #16 Light Ash Blonde (ash), or a mix of both. If your hair is currently as dark as your avatar, then you might need to do the color correction with ColorFix first to lighten it up a bit (just parts 1 & 2). But beware that it will probably pull red (unless you do it twice and go real light). If you do use ColorFix, I would definitely use the Ash Blonde to tone it. But if your color is faded to lighter, then you might be ok with just coloring. RC won't lift the old color (no color does) so if you are darker than normal now, it won't lighten. Are your roots darker or lighter than the length? That would be the deciding factor. This is what I am right now pretty much root to tip. I took the pic outside since the other two were outside as well. 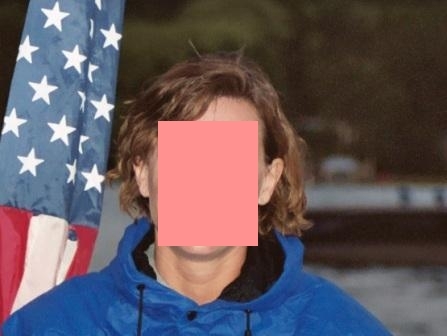 I permanent colored two weeks ago (my avatar pic) and it faded so I tried to tone it down with a temp color until I decided what to do. The temp color had no affect. This is what my color was two weeks ago. The butterscotch you see are "highlights". It was a two part kit. I like that color! The other is a bit red. I like it but you said you don't like red so I can see where it would be bright. You may want to do the ColorFix to get some of those layers of color off before starting fresh, so to speak. OK. I'll get the color fix. What can I expect to see when I do it? Would I still use the ash blond? Just be sure to only use parts 1 and 2. You shouldn't need part 3 (that's the peroxide!). 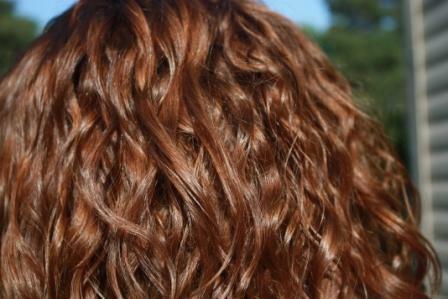 Since the other brands you used were lifting colors, you will probably be left with a light red-brown or something, you could lift to strawberry blonde. So I would definitely use the Ash Blonde. That will tone down the red. You may need 2 boxes. Please be sure to do a strand test before coloring! Your hair will be more porous and it could really grab that color. That's why you need to start light. You can always go a shade darker later if needed. You don't need to cut off hair, just choose a good-sized strand and separate from the rest with plastic wrap or something. Check your timing and write it down. And keep an eye on your hair during coloring to be safe. HTH and keep me posted. LMK if you have more questions. What would be the next darker shade? I may order that at the same time. The ash brown seems several shades darker. When I do a box color, I have extra because my hair is fine / thin. Does RC cover less than an average box color? Light Chestnut is a neutral shade and is slightly darker than Golden Chestnut and slightly lighter than Golden Brown. It can be mixed with Light Ash Blonde to create a dark ash blonde color. I think maybe a mix of Ash Blonde and Light Chestnut. You might have to play with amounts on strand tests, depending on how it comes out with just the Blonde. If you want to save on shipping, you could get 2 Light Ash Blonde and 1 Light Chestnut. Then you have some to mix in if needed. Or wait to see how it comes out with the Blonde. One box should be enough if your hair is not long or thick. I ordered the ash blond and the color fix. I am a bit scared. .. I sure do appreciate your help. I'll post pics later. I'll be here if you need anything! Good luck and LMK how the strand tests come out. Thanks. When I do the color you fix, will the gray just be gray? This might be a good time to see how much I really have. And when I recolor, will the grays be lighter? That would great if that were the case. Oh, and I can color right after the color fix, right? I suppose all the questions will be covered in the instructions. Tee hee. The new gray will be gray, the previously colored gray could turn red. That's why we need that ash color first time around. Since you're going with the Blonde, then yes your grays should turn out lighter, like natural highlights. That's what mine does. Yes, you can color right after, but watch it closely so it doesn't get too dark. Remember, don't use any conditioner before coloring. No DTs or PTs or glycerin afterward for a week or so, just to be sure it sticks! I received my order yesterday. Now I'm reading the instructions. You said not to use step three. Can you help me understand this? Should I do the instructions for slight correction (mixing one and two with shampoo)? Thanks so much. Sorry I didn't get this in time, I'm out of town with limited internet. So, which way did you do it? All parts or just 1 and 2? Just 1 and 2. The peroxide and cones in step 3 scared the life out of me. Yeah, me too! And they aren't really necessary unless you want to totally strip all color.